This March, school tour operator, Rayburn Tours, and the University of Derby are offering teachers a Continuing Professional Development (CPD) networking event, which will explore German History between 1871 and 1939. The session will take place on Wednesday 16th March at the University of Derby’s Kedleston Road site between 4.15pm and 6pm. Dr Tom Neuhaus, programme leader for BA (Hons) History at the University of Derby, will give a lecture titled ‘Place in the Sun’ or ‘Triumph of the Dark’? 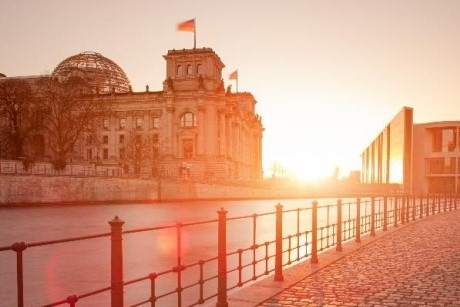 German History, 1871 – 1939, and will introduce teachers to new insights and approaches that historians have been using to understand German history. He will explore some of the key influences on Germany in its early years as a unified entity and will examine imperial Germany and its transition to a Republic and totalitarian state. The session will also cover World War One, the Weimar Republic and the Third Reich and how they have been re-interpreted in recent years, following the passing of the ‘eye-witness generation’. This will be followed by an interactive session with freelance historian and Rayburn Tours’ history tours development manager, Paula Kitching. The session will consider how the issues presented by Neuhaus can be used practically in the classroom. In particular Kitching’s session will look at how the information presented can be used by students to help them focus on the issues and themes that form the GCSE and A Level syllabuses. The event, which is free to attend, is targeted towards History and German teachers. Those interested can register for the CPD session by clicking here.